Jerome Moross was born in Brooklyn, the second of three sons of a family of Jewish émigrés from Russia. Although his parents were not musicians, it became clear very early that he was gifted. He began playing the piano by age five and composing pieces by the age of eight. His parents recognized his talent and enrolled him in the DeWitt Clinton High School for the Performing Arts in Manhattan. It was here that young Jerome would first meet and strike up a lifelong friendship with Bernard Herrmann, who was two years his senior. Although Herrmann struggled with his studies, Moross possessed a keen intellect and advanced academically at a phenomenal rate, gaining promotions four times. He graduated from high school at the age of 14 – a most impressive achievement. Moross and Herrmann both had an affinity for the avant-garde modernist music that was burgeoning in the 1920s, and they pursued it together. In time they formed a trio with Hermann’s young brother, Louis, who played the cello, and they made a modest living, securing paying engagements around town. At the young age of seventeen Moross composed his first work, the modernist Paeans (1931), which premiered in the Juilliard concert hall under the baton of friend Bernard Herrmann. Buoyed by this success he sought to create a signature modernist sound espoused by the Viennese serialists, championed by Schoenberg, Berg and Webern. This resulted in his second piece, the vocal work Those Everlasting Blues (1932). Yet this style ultimately failed to resonate with him, as he felt it too confining. And so he abandoned modernism and chose instead to embrace contemporary American idioms popularized by Charles Ives, Henry Cowell, Aaron Copland and George Gershwin. Blues and Jazz were all the rage in popular culture and Moross embraced and integrated their styles into his writing. In addition, he liked to visit and socialize at Harms Music Publishers, which was the largest publisher of popular music in New York City at the time, and managed the publication of many of America’s rising composers. Moross found a home there and related in an interview, “You met people.” Among these was Vernon Duke, whose compositions made an indelible impression. He related, “The songs were so extraordinary,” among them April in Paris (1932), Suddenly (1933), and Autumn in New York (1934). Moross reasoned that to be successful, he would need to embrace this new idiom, take it out of the clubs and dance halls and bring it to the theater and concert hall. Moross saw the theater as the perfect medium for expressing himself as it offered opportunities for integrating story, dance, and song in a manner similar to opera. While this aspiration was laudable, it was out of step with the Broadway popular culture of the 1930s as people did not desire symphonic opera, rather they wanted songs. As such, he initially did not catch on, or match Herbert Stothart’s amazing success. An introduction to Charles Ives by Henry Cowell made a lasting impression, and both he and Herrmann became great champions of Ives’s works. For his early dramatic works, Moross found inspiration with ballet. Early efforts for the Charles Weidman Dance Group included, Paul Bunyan: An American Saga (1934) and Biguine (1934). These appeared to have created a favorable impression as CBS commissioned him to compose a work to be broadcast on American School of the Air: Folk Music of America. Moross rose to the occasion and composed a wonderful piece titled Ramble on a Hobo Tune, which perfectly captured the Americana spirit sought. The Albuquerque experience created a lasting impression on Moross, and he would draw from this well of memories later with inspired writing for his notable Western film scores. 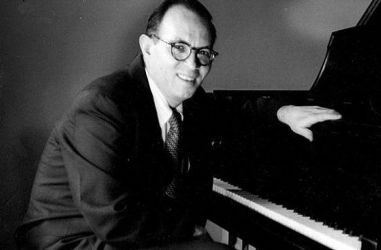 In Los Angeles, Howard Barlow, the music director at CBS, recognized Moross’s talent and extended him an offer to join Columbia Composers Commission, a program dedicated to encouraging the development of young, up and coming American composers. 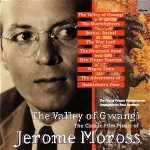 Moross responded with his first orchestral work for radio, A Tall Story for Orchestra (1938). At age 24, Moross’s star was rising and a new opportunity presented itself when Ruth Page asked him to return to Chicago to create the ballet Frankie and Johnny, a work they had long envisioned. While there he finally secured a venue, the Civic Opera House in Chicago, to premiere his work An American Pattern. He returned to Los Angeles where he concluded his commitment to Porgy and Bess and completed Frankie and Johnny, which premiered in Chicago 1938. The provocative story of infidelity, murder and an incongruous trio of Salvation Army girls generated both widespread interest and controversy. After a fine six week run Moross returned to Los Angeles where he married Hazel Abrams, in August of 1939. Hazel was pregnant and Moross was hard pressed to find meaningful employment. Yet fortune smiled upon him when friend Aaron Copeland hired him to orchestrate his score for Our Town (1940). Moross acquainted himself well and quickly established himself as a very talented orchestrator, which would later create opportunities for him to score himself. Subsequent work with Adolph Deutsch’s score for They Drive by Night (1940) caught the attention of studio executive Leo Forbstein of Warner Brothers Studio, who offered him a full-time position. Moross would go on during his five years at Warner Brothers to create working relationships with co-orchestrators Hugo Friedhofer, Arthur Lange and the renowned Emil Newman, who was the musical director for Twentieth Century Fox. 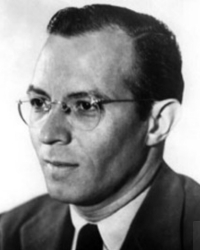 Moross worked on 26 films as either orchestrator or arranger, many of which he remained uncredited. Among the more notable efforts were Copeland’s The North Star (1943) and Max Steiner’s Since You Went Away (1944). Moross never gave up on composition and during this time composed Ballet Ballads, a set of four short works set to lyrics by John Latouche, where each piece presents an unconventional adaptation of well-known narratives; “Susanna and the Elders”, a biblical story set as a revivalist camp meeting, “Willie the Weeper”, which offers an urban folk tale, “The Eccentricities of Davy Crockett”, which offered a classic American folk tale, and lastly, “Riding Hood Revisited”, which offered a modernists rendering of the classic story. Additionally, his signature concert work, Symphony No. 1 with its effusive spirit of Americana premiered October 1941 in Seattle under the baton of Sir Thomas Beecham. Moross’s concert success led to the Ballet Russe de Monte Carlo purchasing the production rights of Frankie and Johnny in 1945. Its New York premier was hugely successful and prompted him to relocate his family back to New York, thus ending his contract with Warner Brothers. Once settled in New York, Moross chose to focus on his own compositions, with only occasional forays back to Hollywood for requests made by his friends, such as for Friedhofer’s award-winning The Best Years of Our Lives (1946), The Bishop’s Wife (1947), and Joan Of Arc (1948). In 1947 and 1949 Moross was awarded Guggenheim Fellowships and he responded with the highly successful musical The Golden Apple (1948-1950). On May 9, 1948, his “Ballet Ballads”, opened at the Maxine Elliott Theatre and was so successful that it quickly relocated to the Music Box Theatre on Broadway, where it played for several weeks. Joan of Arc (1948) seemed to rekindle Moross’s interest in film score composition and he began to receive for the first time in his career, projects for original film scores. Yet to lure him back to Hollywood, the film had to be distinctive or one that captivated his interest. Among his first efforts were Close-Up (1948), film noir dealing with Neo-Nazism in post war America where he provided a lush romantic score, the drama When I Grow Up (1951) where he interpolated music from his harmonica concerto to create auras of nostalgia for the film’s late nineteenth century flashbacks. The next year brought two new opportunities, the crime suspense melodrama Captive City (1952), and a unique scoring assignment – Musical Director Walter Scharf asked him to orchestrate the Little Mermaid ballet in the film, Hans Christian Andersen (1952). Moross succeeded well by interpolating works by Franz Liszt, which were expressed with his unique sensibilities. Next came the Seven Wonders of the World (1956), where he sharing duties with Sol Kaplan and David Raksin. The film offered a documentary in six segments, where he composed two, one for Rome, and one for the Mediterranean. He closed the year with The Sharkfighters (1956), which he infused with ethnic Cuban accents and Caribbean auras. It was during this time in the early 1950s that Moross’s success with modern ballet began to fade. The Last Judgement (1953), his final ballet for Ruth Page, never made it to dress rehearsal and was not performed, while his Gentlemen, Be Seated! (1955-1963), a sketch of events during the Civil War set as a minstrel show, never resonated with the public at large. Moross, never one to mope, reset his sights on Hollywood and achieved a career apogee with three remarkable films where his Albuquerque experience finally found voice. All three films were of the Western genre, a genre for which Moross’s distinctive style, based on American idioms found sublime expression. The Proud Rebel (1958), which offers warm and nostalgic Americana was well received and caught the ear of renowned director William Wyler, who hired Moross for his epic The Big Country (1958). This effort for me is Moross’s Magnum Opus, a glorious work, which earned him his only Academy Award nomination. Moross loved the vast vistas of the American west as well as its traditional folk music, which he says always inspired him. He used this love to create a multiplicity of themes and motifs to culturally express the bravado of the old west on the grand tapestry upon which he was given. His music filled the spectacular vistas of the western plans and enhanced the film by fleshing out the emotional drivers of the main characters. 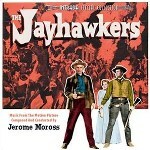 The last of this impressive trio was The Jayhawkers (1959), which again displayed Moross’s singular gift for capturing the irrepressible spirit of the American West. Of interest is that a cue from this score “The Two Brothers” and transformed it into the iconic Main Title piece “Wagon Ho!” for the third season of the Wagon Train TV series. Moross entered the 1960s with his star ascendant and basking in the glow of critical acclaim. He began the decade with The Mountain Road (1960), a tale set in China for which we are treated to a wondrous joining of Occidental and Oriental sensibilities. Also that year was The Adventures of Huckleberry Finn (1960), which was brimming with southern charm and nostalgia. The Five Fingered Exercise (1962) offered a tense emotional drama of a modern American family at war with itself. 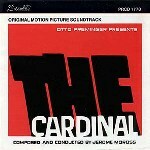 Next came the highly successful and his personal favorite, Otto Preminger’s The Cardinal (1963). From its opening bars we are graced with a wondrous lyricism and waltzes, which are joined with inspiring liturgical auras. 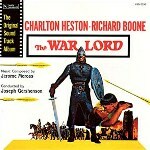 Next came the epic The War Lord (1965), which starred Charlton Heston. This period piece tasked Moross to capture the archaic modal sonorities of the medieval era. He responded with some of his finest and most sophisticated contrapuntal writing of his career. Rachel, Rachel (1968), directed by Paul Newman followed and offers testimony to Moross’s mastery of his craft. His music, for what he described as a “beautiful” film, was in and of itself as responsible as Newman himself in the developmental arcs of the main characters. During the 1960’s Moross also supplemented his income with a number of scores for episodic TV westerns including Gunsmoke, Have Gun – Will Travel, Rawhide, Wagon Train, Lancer, and Grizzly! a National Geographic Special from 1967. Despite great demand and continued success in this new medium, he disliked the episodic nature of television scoring and eventually withdrew from it all together. Moross finished the decade with two final scores. The first, a fantasy film, The Valley of Gwangi (1969), was a significant departure for him, which featured images of cowboys trying to corral a Tyrannosaurus Rex in Mexico! Moross used his native gift for emoting music of the west while infusing his score with the natural Mexican accents. I believe this score warrant restoration and an album release as it is that good. We come now to Hail Hero (1969), Moross’s final Hollywood film score. For many years he felt a deepening dissatisfaction and alienation with Hollywood’s growing tendency to repeatedly edit and micromanage his scores. He was so dissatisfied after this film experience that he packed his bags and returned to his first love, New York where he resided for the remainder of his career. In the late 1960s, Moross returned to the concert hall and penned the four Sonatinas for Divers Instruments, which began as an exercise for clarinet choir. First came the Sonatina for Clarinet Sextet (1966), which he wrote specifically to appeal to high schools and college ensembles. Next followed the Sonatina for String Bass and Piano (1966), the Sonatina for Brass Quintet (1968) and finally, the Sonatina for Woodwind Quintet (1970). Next followed a piece written for string quartet, Sonata for Piano Duet and String Quartet (1975). In a return to his early days he next composed an Opera for one act, Sorry, Wrong Number (1977), which was based on the 1943 radio play and 1948 film by Lucille Fletcher. We close his marvelous career with a final piece for string quartet, Concerto for Flute with String Quartet (1978). In a 1979 interview Moross remarked that he was composing a second symphony, yet this never seems to have been realized. Four years later his failing health overtook him and he died on July 25, 1983 in Miami, Florida, of congestive heart failure and a stroke. Moross’s earliest inclinations were drawn to the avant-garde modernist sound espoused by the Viennese serialists, championed by Schoenberg, Berg and Webern. Yet this style ultimately failed to resonate with him, as he felt it too confining. And so he abandoned modernism and chose instead to embrace contemporary American idioms popularized by Charles Ives, Henry Cowell, Aaron Copland and George Gershwin. Blues and jazz were all the rage in popular culture and Moross embraced and integrated their styles into his writing. Moross often tapped into the music he heard around him for inspiration, including the popular songs of the day. Indeed he developed a great appreciation for Vernon Duke, who he met when he was quite young. To a large extent Moross was shaped and influenced by his famous friend and older contemporary, Aaron Copeland, the quintessential champion of Americana. It was Copeland who first recognized Moross’s native talent and brought him into the fold of his famous Young Composers Group. This school of rising composer stars was intrinsically and authentically American in nature, perspective and approach. As such, throughout his career he would compose music that utilized traditional modal expression, for which he infused popular American idioms. This resulted in an “intrinsically American sound”, which I believe was the defining characteristic of his compositions in film, the theater and concert hall. This distinctively American sound was grounded, nourished, and brought forth through folk-tunes and popular songs of his day. Indeed Moross always sought to draw his audience into the film’s narrative with cultural rhythms, intervals and themes that were bound up within the very fabric of American cultural life and identity. Yet despite this, Moross’s career is notable in that he was successful in three musical realms; Broadway, Hollywood, and the concert hall. I believe that he introduced the concept of a rousing and imposing symphonic score that forever changed the approach for scoring of films in the Western genre. His trio of late 1950s gems were transformative and illustrative; The Proud Rebel (1958), his iconic and Academy Award nominated score for The Big Country (1958), and The Jayhawkers (1959). One should also note that Moross innovated and brought untried and fresh ideas to Broadway that helped to transform its sound. His hit Broadway show “The Golden Apple” was a stunning landmark achievement, which resonated with audiences through its expert and inspired fusion of opera with musical comedy. Also praiseworthy was Moross’s several magnificent ballet collaborations with renowned choreographer Ruth Page, which achieved a truly sublime synergy of music and dance. Lastly, Moross demonstrated a talent and quintessential American approach, which often surprised critics, and rewarded audiences in the realm of the concert hall. In summary, it suffices to say that although Moross’s contributions are not as extensive as Max Steiner’s, or acclaimed as Bernard Herrmann’s, he never the less achieved with his smaller canon of work, a vibrant legacy, one that is quintessentially American, and worthy of your interest and exploration. 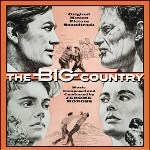 Moross received just one Academy Award nomination, for The Big Country in 1958, but did not win. Close-Up (1948), When I Grow Up (1951), The Captive City (1952), Seven Wonders of The World (1956), The Sharkfighters (1956), The Big Country (1958), The Proud Rebel (1958), The Jayhawkers (1959), Wagon Train (TV) (1959), The Mountain Road (1960), The Adventures of Huckleberry Finn (1960), Gunsmoke (TV) (1961), Have Gun – Will Travel (TV) (1961), Five Finger Exercise (1962), Rawhide (TV) (1962), The Cardinal (1963), The War Lord (1965), Grizzly! (1967), Rachel, Rachel (1968), Lancer (TV) (1968), The Valley of Gwangi (1969), Hail, Hero! (1969). Moross, like Korngold had a modest canon of scores with limited commercially available. I offer the following for your consideration. This is a fine compilation CD that gives you a good exploration of several of his classic scores, from a multiplicity of genres, which span his career including The Adventures of Huckleberry Finn, Five Finger Exercise, Wagon Train, The War Lord, The Sharkfighters, Rachel, Rachel, The Mountain Road and The Valley of Gwangi. The album will introduce you to this remarkable composer and I recommend it as a fine way to get the measure of the man. I consider this score to be his Magnum Opus. Moross created a multiplicity of themes and motifs to culturally express the bravado of the old west on the grand tapestry upon which he was given. His music filled the spectacular vistas of the western plans and enhanced the film by fleshing out the emotional drivers of the main characters. His Main Theme has passed into legend and is now regarded as the iconic Americana theme for the old west. We bear witness to a stunning swirling vortex of violin arpeggios from which sound heraldic horns festivamente that grandly declare the indomitable American spirit. The theme has a ternary form with the opening line of violins and trumpets serving as a stunning introductory prelude. It’s violin carried A Phrase espouses proud confident nobility while its B Phrase, which flows atop violins and harp glissandi, speaks to the wondrous vistas of the American west. It just does not get any better than this! Highly recommended. The score, the last of Moross’s famous trilogy of magnificent Westerns, provides a big and bold score, which offers us classic Americana bravado. He creates a tapestry of rousing major modal themes that clearly play against the film’s dark narrative. Illustrative is how he forever transformed the Western genre through use of a rousing and imposing symphonic score. As he did with The Big Country a year earlier, Moross immediately sets the tone of the film and captures your attention. He provides us with a rousing and inspired Main Title that resounds with refulgent and dramatic horns nobile, that arise in triadic form. The music is richly melodic, folksy and perfectly captures the American spirit. The score for me stands larger than its film, which I believe it enhanced and elevated. The restoration by Intrada is excellent. This was a late career epic, which starred Charlton Heston. This period piece film tasked Moross to capture the archaic modal sonorities of the medieval era. He responding with some of his finest and most sophisticated contrapuntal writing of his career. Once again Moross perfectly captures the film’s emotional core with an inspiring Prelude and Main Tile. We open the film powerfully atop rousing antiphonal heraldic fanfare, which introduces a wistful line by pastoral woodwinds alight with Sylvan auras. A reprise of the fanfare ushers in the Main Title born by his lush love theme, which baths us with is sweeping lyricism. This score offers a multiplicity of fine themes, fanfare worthy of Korngold’s envy, and a lyricism, which is perfectly attenuated with the film’s narrative. I just love this score! Moross was surprised when Otto Preminger solicited his services for The Cardinal, and was intrigued by its narrative. From its opening bars we are graced with a wondrous lyricism, tolling bells, canonic bridges and gentile waltzes, which are joined with inspiring liturgical auras. Moross infused his score with a multiplicity of fine themes, and although Preminger spotted them sparingly, he never the less managed to brilliantly capture his film’s narrative. The complex antiphonal writing alight with Baroque colors, inform us of Moross’s supreme talent, singular insight, and mastery of his craft. That this score was not nominated for an Academy Award was an unforgivable travesty.